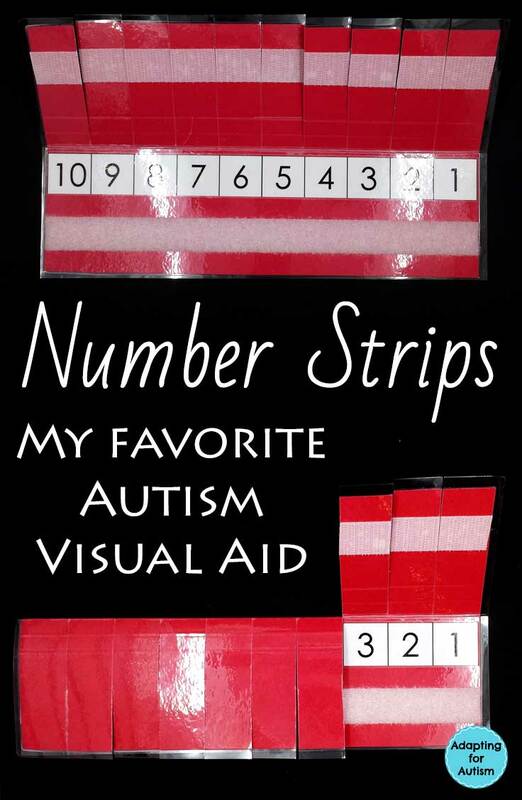 Number strips are among my favorite visuals for kids with autism. Hands down, I find them to be the most helpful and easy to use. One of my favorite things about them is there are no loose parts. You don’t need check marks or smiley faces that are easy to lose. It’s an all-in-one support that can be used in all aspects of your school day. 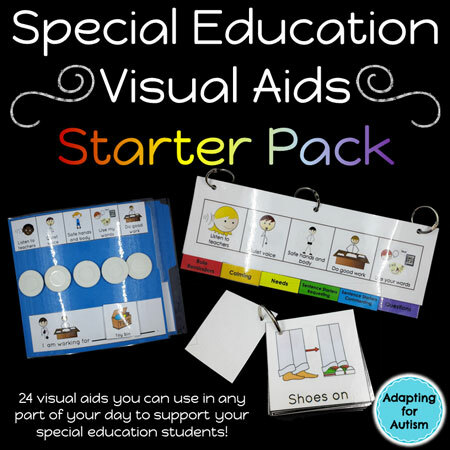 We know that using visual aids is usually more effective than verbal instructions particularly for people on the autism spectrum. For non-preferred activities, students may feel like the task will go on forever and refuse to participate. Number strips allow students to see there is an end in sight and you can stop saying “almost done” “keep going” “three more” over and over and over. Despite our best efforts, we all get tuned out eventually. Let your visual supports do the talking! For preferred activities, they can help you set limits. No one wants to be the bad guy and this simple visual lets you off the hook! Rejoice in the ultimate autism visual aid you just created! Determine the number of trials you want your student to perform. Open the flaps so that number is showing. As students perform each trial, lower the flap to cover the number. If students are able, they can close the flap – this provides some ownership of the task. Once all flaps are closed, you can provide verbal praise and/or point to the card for what is next. If you have Velcro walls or boards, attach a piece of Velcro to the back of the number strip for easy storage. Having it up on the wall will make it easy for you to grab and use. If you have a student who is rough on materials, you can use clear packing tape to reinforce the flaps after you’ve laminated them. This will help prevent them from ripping off. You can use the numbers to indicate an amount of time rather than individual trials. You can require “x minutes” of something and use the number strip as a visual representation of time. 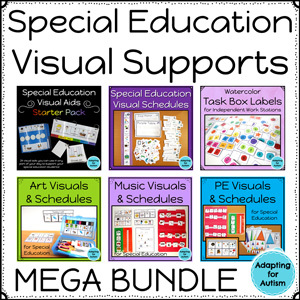 My Special Education Visual Aids Starter Pack includes 23 more visual aids to support your students in any part of their day!